Following on the heels of his fatal victory in the Indiana primary, people began to ask who is the guy that beat Hillary Clinton as a Democrat in the Hoosier State of basketball rings? Well, he is an immigrant from Brooklyn, a Jew who has lived in Vermont for a long time, married, and with children and grandchildren. He has masqueraded as a civil rights activist, Mayor of Burlington, Vermont, U.S. Congressman, and now Senator running for the nation’s highest office. 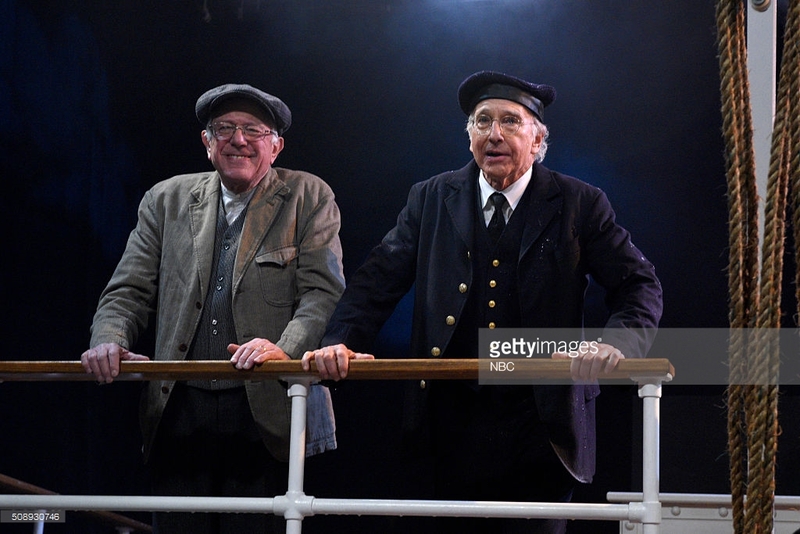 The man just getting off the boat in Brooklyn is identified as Bernie Sanders, an obvious alias undertaken to disguise his campaign, and his obvious foreign origins. “We just had no idea he’s been in the race,” said DNC Chairwoman Debbie Wasserman-Shultz. “We did know there was this spot on the ballot in each State primary where it says “the HUUGEALLY pissed off.” On MSNBC last night a political expert pointed out that Bernie is just “a place holder,” and is not really able to garner enough support. The consensus among political experts over the entire media is that HUUGEALLY Pissed Off should get out of the race. His win last night was the final nail in his metaphorical political coffin. “It’s really a question of seeing things as they are. This Sanders person staying in only makes it necessary to have a convention in Philadelphia this summer,” said a source close to the Clinton Campaign. Since last fall, crowds numbering in the tens of thousands would secretly gather all over the nation and listen to HUGEALLY Pissed Off. To be this popular and keep it a secret all you need is Donald Trump, a compliant media determined not to cover HUUGELLAY Pissed Off, and corporate executives foaming at the mouth with the profits to be made by running The Donald Channel on their air around the clock. This entry was posted in Humor/Satire and tagged Bernie Sanders, debbie wasserman schultz, Hillary Clinton, Humor, HUUGE, msnbc, Political Commentary, Satire. Bookmark the permalink.